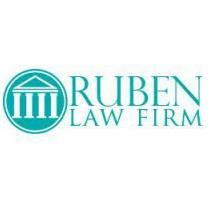 The Ruben Law Firm, P.C., in San Francisco, California, delivers results in divorce and family law cases. Our lawyers have the wisdom and experience to guide you through a difficult time when so much is often on the line. We take the time to understand your situation and create a unique divorce road map to accomplish your goals. Since 1973, we have empowered clients to make wise and strategic decisions. Founder Stephen B. Ruben enjoys a widespread reputation for excellence. Certified as a family law specialist by the California Board of Legal Specialization (a distinction held by only a small percentage of California attorneys), he brings a high level of expertise to each case. Additionally, he was selected for inclusion in 2005 Northern California Super Lawyers. With more than 30 years of experience, Mr. Ruben is known for his outstanding leadership, ethics and creativity in handling divorce and family law cases. He frequently lectures on family law topics for continuing education programs. Additionally, he is a regular guest on the nationally syndicated radio program "Your Legal Rights," hosted on San Francisco’s public radio station KALW (91.7 FM). When you hire our trusted advisers, you can expect maximum effectiveness with minimized cost. Our lawyers are aggressive advocates who will fight for you inside and outside the courtroom. We are experienced in negotiating for winning settlements to effectuate our clients’ goals. At the same time, we are not afraid to litigate cases. Bottom line, The Ruben Family Law Firm delivers results.